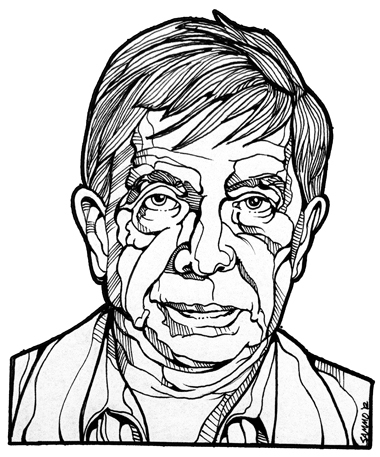 This is my drawing of Lt. Joe Kenda and is part of my ongoing "Obscure Personality Portrait Series" depicting influential and interesting people many may have never heard of. Lt. Joe Kenda is the subject of Investigation Discovery's TV series "Homicide Hunter". What I find fascinating about Kenda is that he's solved 387 murders and that his success rate is 92%. In addition to his amazing ability to solve murders, he has a really interesting delivery style when discussing what goes through his mind while investigating. (Season 2 of Homicide Hunter is now airing Tuesdays at 9:00pm).